Kolkata-based Mihup Communications Pvt Ltd, which operated artificial intelligence-based personal mobile assistant app Mihup, has resumed its operations by pivoting to a business-to-business model, the company’s website showed. The pivot comes less than a month after VCCircle had reported that it had gone offline and ceased operations. At that time, Biplab Chakraborty, co-founder of the venture, said that the company was in the midst of a B2B pivot, without providing further details. 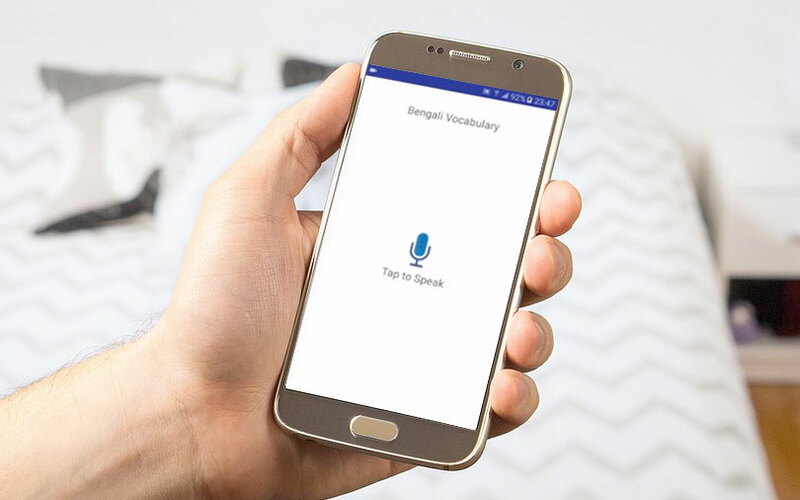 In its new avatar, the company provides voice recognition based interfaces for devices and applications, which can respond and act to spoken queries or commands. The company claims that its solutions have potential use cases in industries that include media and entertainment, consumer electronics, Internet of Things, retail and e-commerce, automotive and BFSI (banking and financial services industry). “We are attempting to combine and tackle the problem of recognition of Indian languages and the varied dialects with respect to voice-based recognition systems. Most Indian languages have several dialects. For example, Bengali language itself has about 16 varied dialects,” said Chakraborty. However, Mihup is currently testing its voice recognition solutions only for media & entertainment, home automation, connected cars and intelligent IVRS (interactive voice recognition system). The company has also on-boarded a few customers who are testing its solutions. Chakraborty refused to divulged the identity of the customers while also adding that the commercial rollout was still sometime away. Available both as an on-premise and cloud offering, Mihup’s voice recognition platform is built on automatic speech recognition technology with an AI-based core that has components of natural language processing (NLP) and information retrieval (IR). The system, which can work both offline and online, currently supports Indian English, Hindi and Bengali languages. “The eventual idea is to cover as many Indian languages and dialects as possible,” said Chakraborty. As part of its voice-based solution for consumption of media and entertainment, the company is also working on a smart device that acts as an intermediary between the mobile app and the entertainment platform. Besides, Mihup will also support this with a consumer facing app. Chakraborty, however, did not elaborate on the timeline of the planned commercial launch. According to him, the company is also developing a prototype for an Alexa-like (Amazon’s voice assistant platform) platform that can support Indian languages and dialects. The company, which raised about Rs 45 crore ($6.7 million) from Accel Partners in August last year is not looking to raise any more funding at this point, as the funds raised are sufficient to support its ongoing research and development, according to Chakraborty. The 20-member strong team, which has its research and development centre in Bangalore, is, however, looking to onboard more techies. Mihup was launched as a beta stage application in 2014 by engineering professionals Chakraborty, Tapan Barman, and Sandipan Mandal. The AI-based inter-platform recommendation engine was basically an on-demand concierge platform that provided information on travel, sports, news, entertainment restaurants and more. Barman and Chakraborty are also the co-founders of Nectar Consultancy Services, a product development and IT services company from where the Mihup chat assistant was developed. This is not the first instance where a venture operating in the personal assistant and on-demand concierge services space is undergoing a B2B pivot. Founders have cited low margins to challenges in scaling up and customer acquisition as some of the reasons for the pivot. Besides, a B2B pivot also presents an easier opportunity in identifying and addressing a genuine pain point besides offering a clear visibility on its target customer audience. Recently, VCCircle reported that task management app MagicX, backed by K Ganesh’s (of Portea Medical fame) GrowthStory and Kris Gopalakrishnan (Infosys co-founder), had halted operations as it was in the midst of a B2B pivot while also undergoing a rebranding. In June last year, Jo Hukum, an app-based provider of concierge services, also pivoted into B2B for better monetisation, its co-founder Arihant Jain told VCCircle then.